For a limited time, receive a free Teal Swift Case when you purchase a Birch Swift! 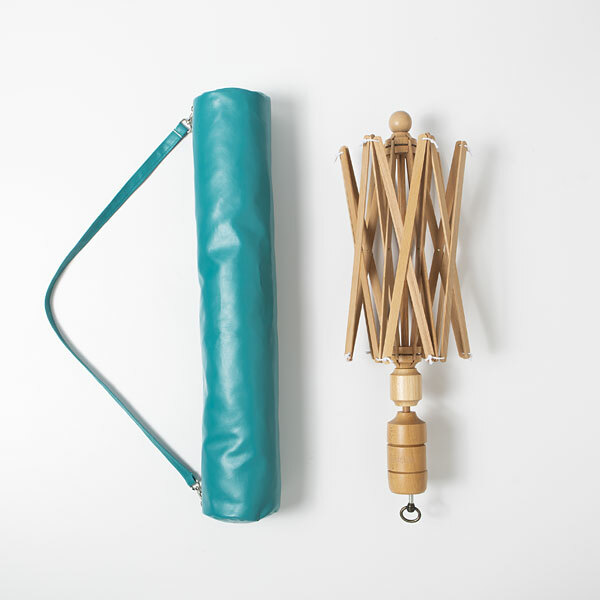 When you're all done using this essential tool to wind your yarn into tidy cakes, stow it away in style with a handy Teal Swift Case. Designed to easily fit this essential yarn crafter's tool, with a detachable strap that makes for easy storage and travelling!